Kenmore Ave. looking south from BeldenAs a follow-up to my piece on the humane density of New York’s Upper West Side, I was in Chicago last weekend and took some snaps of the same effect in that city share with you. 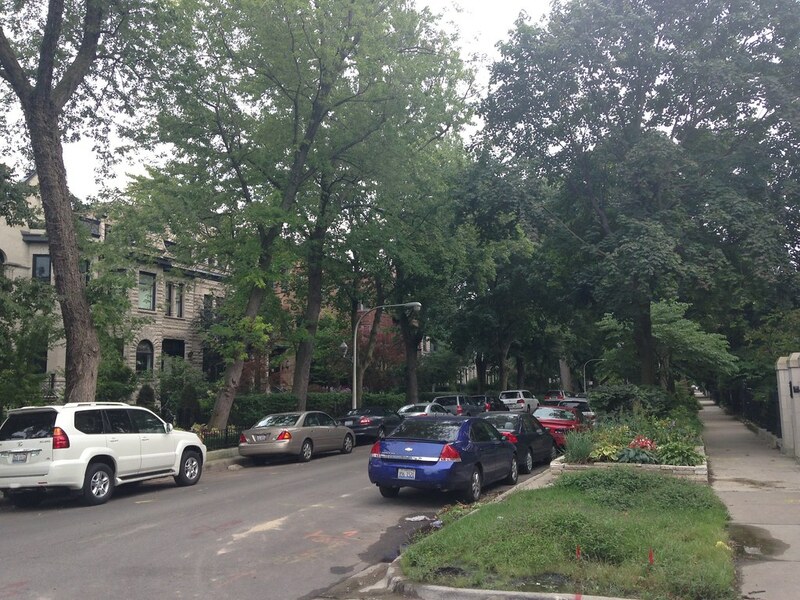 These pictures are of Lincoln Park, a North Side neighborhood that is among the city’s most prestigious. It’s about three square miles, extending from the lakefront park of the same name west to around Clybourn Ave. The density is 20,000 per square mile. This is far lower than the Upper West Side, but the comparison is not quite as stark as the raw numbers might suggest. 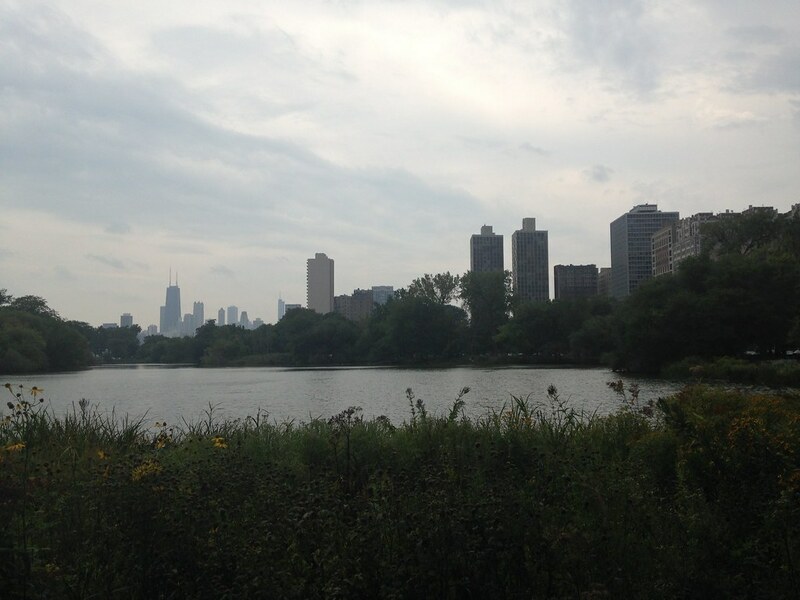 The UWS isn’t pulled down by a share of Central Park, whereas Lincoln Park’s boundaries include significant parkland as well as quite a bit of industrial and retail space with no residential. 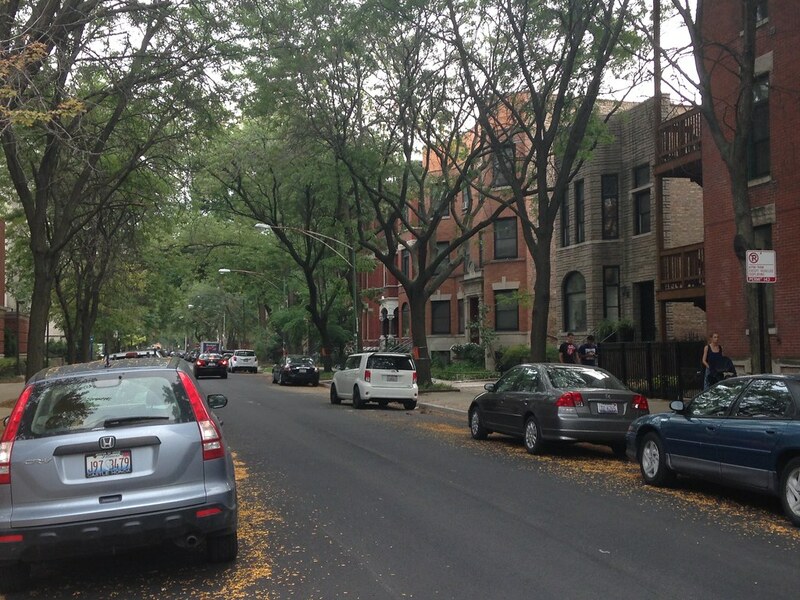 Most of the neighborhood is quiet, extremely pleasant tree lined streets. As you’ll see from my pictures, it can actually be hard to take pictures that actually show the buildings in the summertime because the tree canopy is so thick. Lincoln Park is also home to many great amenities such as the lakefront park and zoo, the Steppenwolf Theater, De Paul University, etc. 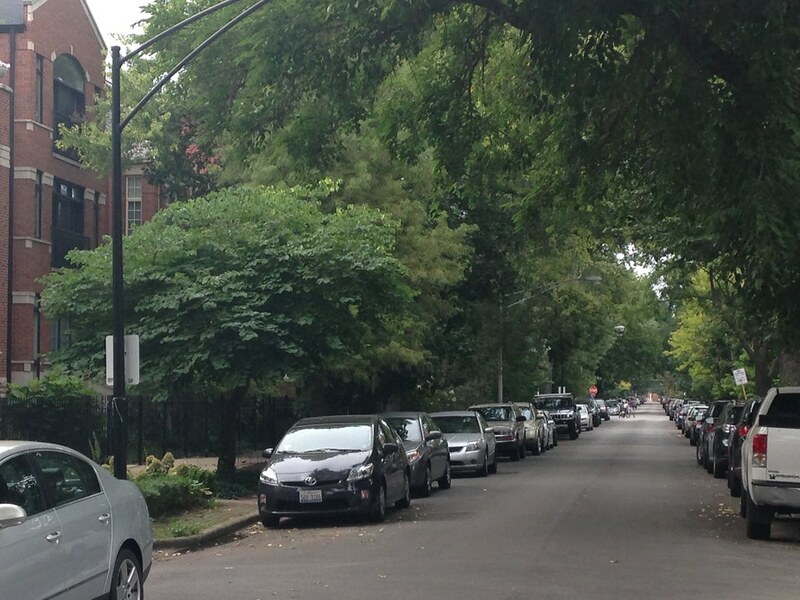 To give you a sense of the building density, here’s a place on Wrightwood without trees where I could get a clear view. 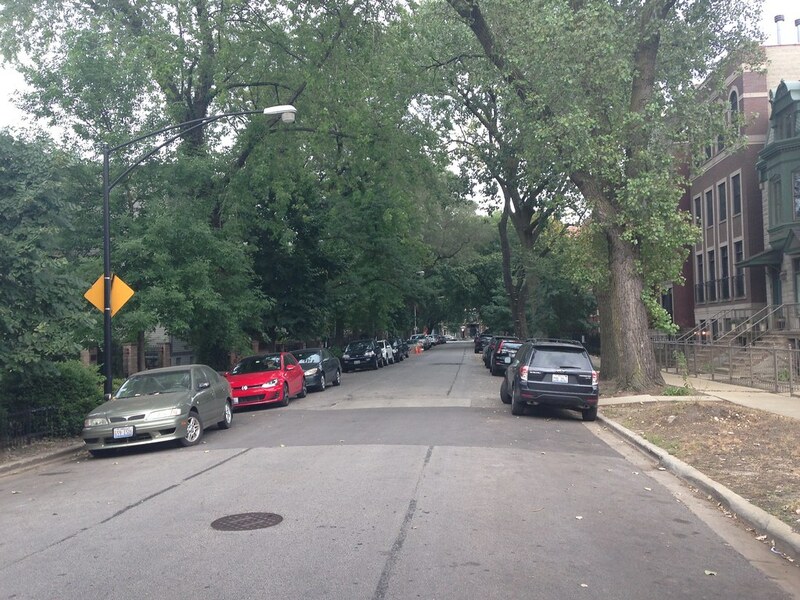 Keep in mind that Wrightwood has a bit higher density than the other streets. Continuing east from Halsted things densify a bit but still very human scale. Here’s a shot of Burling St. looking south from Wrightwood. There’s a neighborhood pub on the side of the intersection behind me. 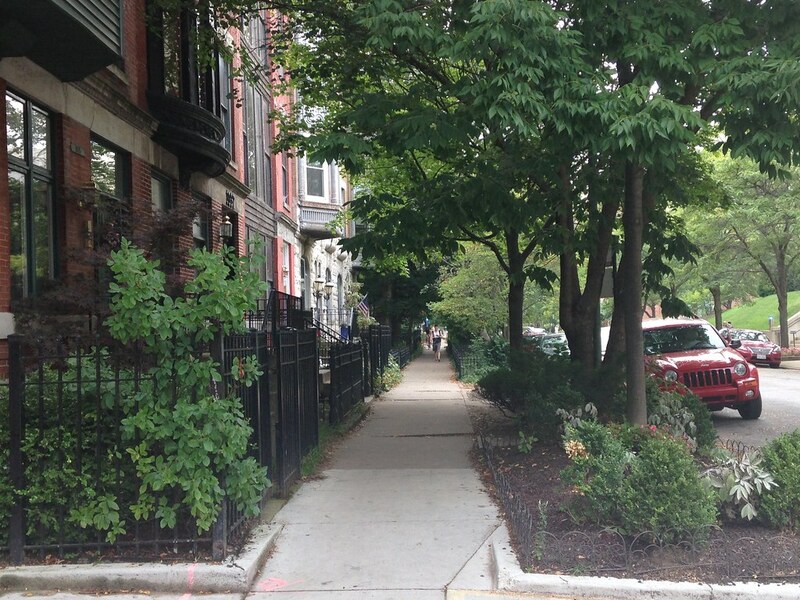 You can note here and in other photos Chicago’s nice parkways between the six foot (not five as in many other places) sidewalks and the street. These are frequently landscaped by the homeowner as we see in this shot. Wrightwood itself starts to ramp up in density here. 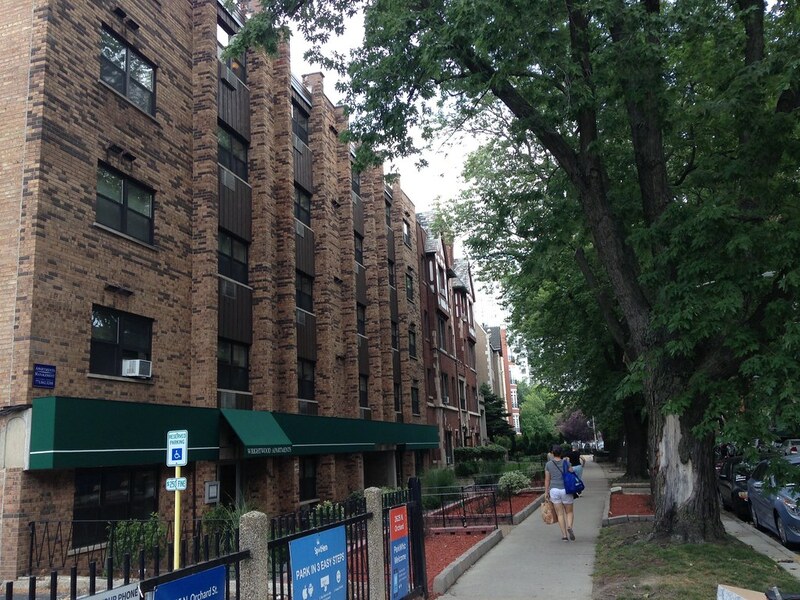 In this shot you’ll see a classic Chicago courtyard apartment building at Wrightwood and Orchard. 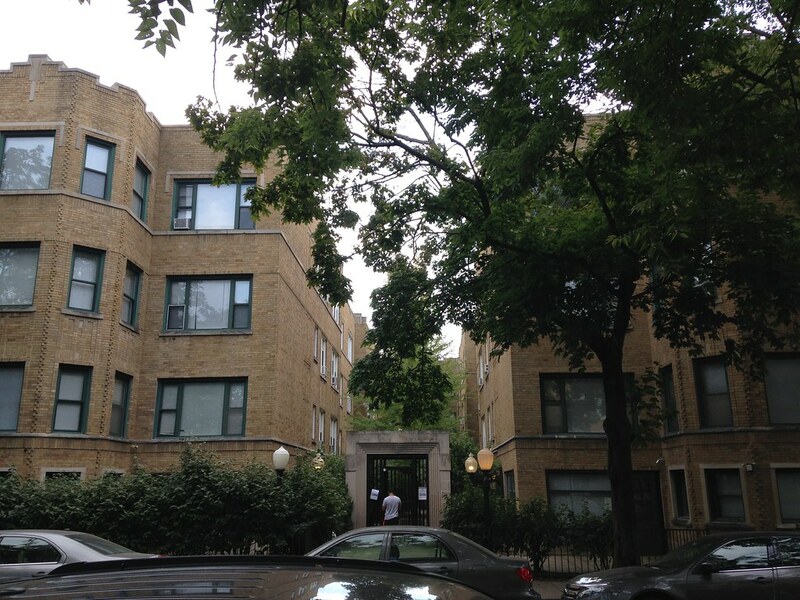 In fact, my first apartment in Chicago was in this building. It was nothing special but serviceable for someone just out of school. More apartment buildings on the north side of the street, but still very pleasant, tree lined, etc. Now here is the kind of thing that drives Daniel Hertz insane. I’m told that the media magnate who lives in the concrete bunker bought this apartment building next door and is converting it into a private gallery for his art collection. 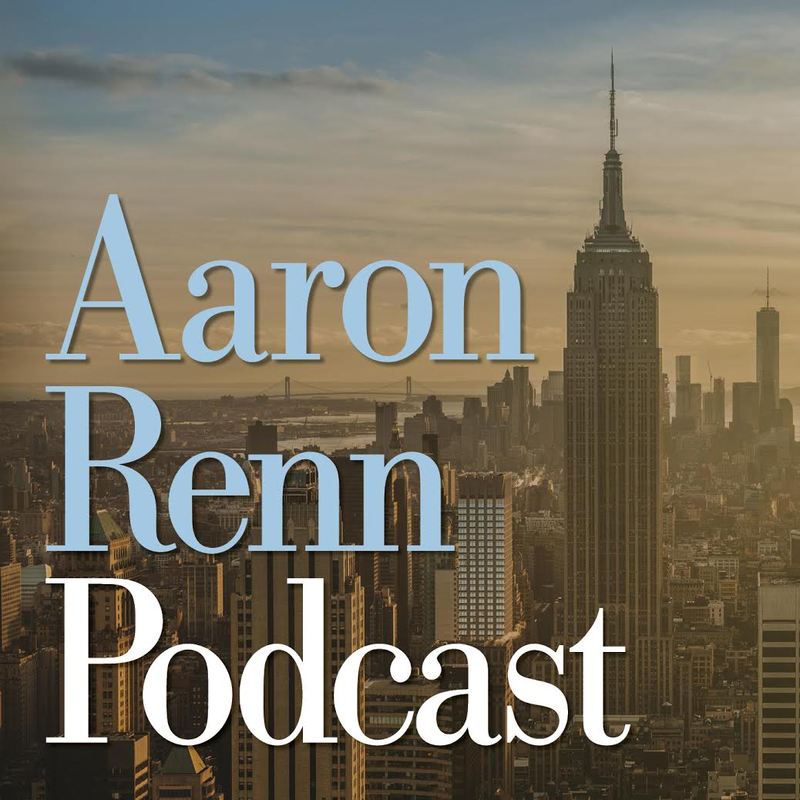 My impression is that loss of housing units and density in the area is not coming through zoning restrictions but rather wealthy buyers who want space and who can pay whatever it takes to get it. On some blocks south of here there are apparently now McMansions where people bought several adjacent homes, tore them down, and a single family. 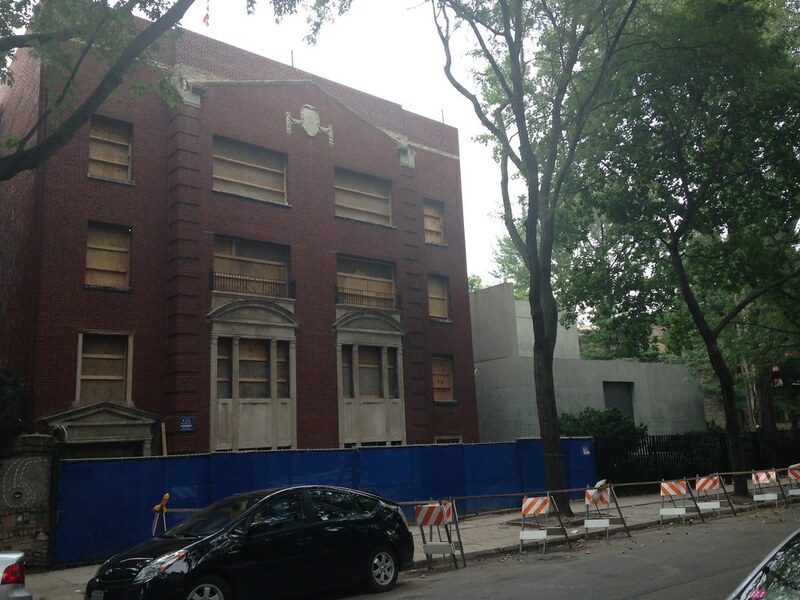 While there is some multi-family construction, this area is seeing a lot of single-family conversions. 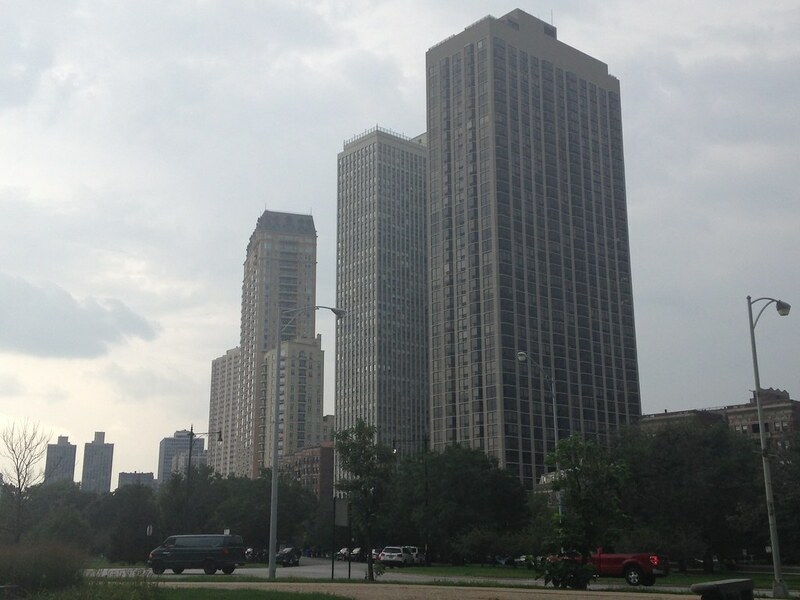 There are some high rises, but mostly along the lakefront. 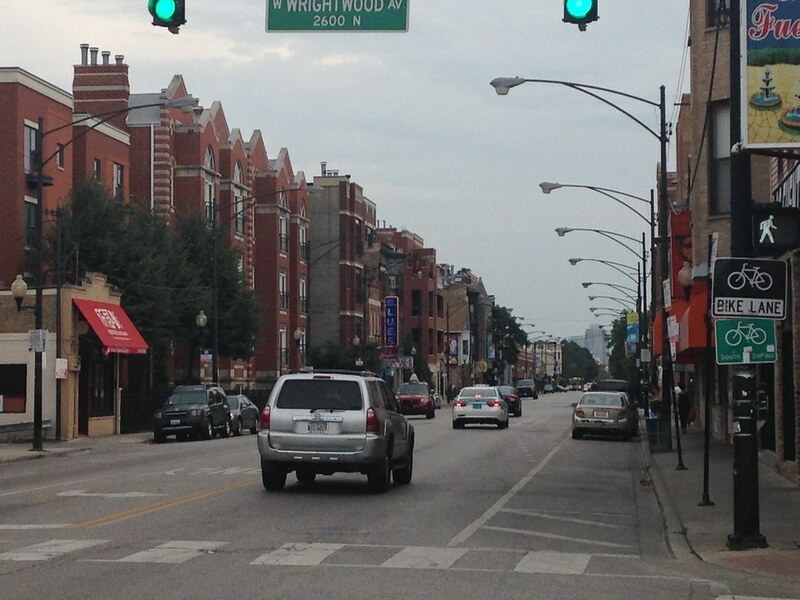 Here are a few you ca see looking south from Diversey. The tall building on the left is relatively new, so new high rises have been permitted recently. 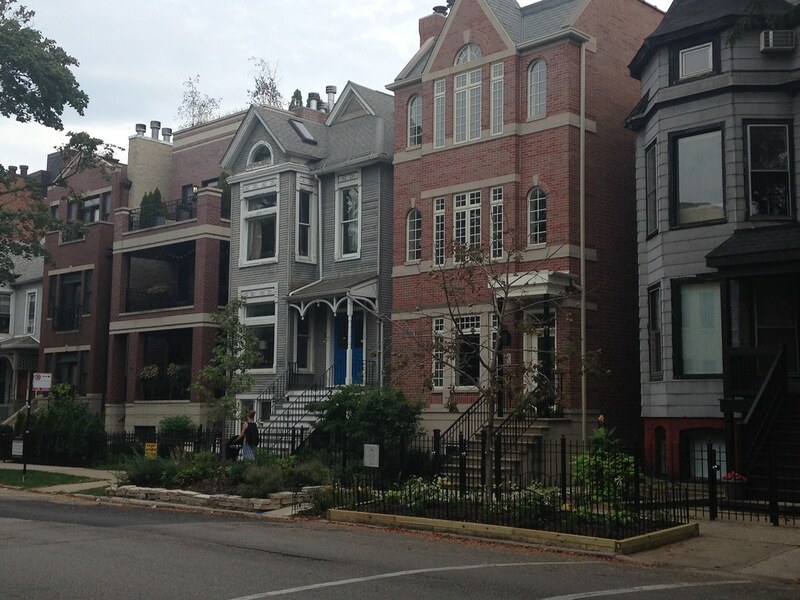 And I’d be remiss if I didn’t share at least one photo of fabulous Lincoln Park itself. Again, just a few photos to show you that densities at much higher levels than your average city can be very humane and indeed almost bucolic at times when you have the right built form, infrastructure, amenities, and public services.